Yesterday the Scotia Momentum VISA Infinite - $100 Statement Credit when you spend $500 in the first three months (Essentially 1st year free) offer ended to be replaced by almost the same type of offer. This time when you apply for and receive the card you'll have the first year's annual fee of $99 waived. Even though it is technically $1 less than the previous offer there is no minimum spend requirement to receive the first year free so you don't have to go out and rush your spending on this card to get a statement credit. 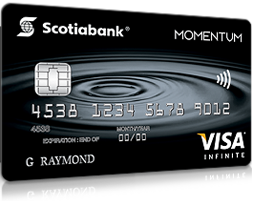 The new sign up offer for the Scotia Momentum® VISA Infinite* Card runs until May 31 and can be accessed here.